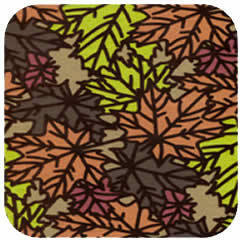 A rich, velvety textured fabric featuring beautiful maple leaves full of color. 87% Cotton 13% Nylon. Dry Clean.